The Machame route is one of the most beautiful routes to the top of Mt Kilimanjaro. The climb begins in the lush rainforest and follows a path that offers occasional views of Mt Meru, Shira Ridge as well the main summit of Mt Kilimanjaro – Kibo. The Machame route contains more steep passages and higher altitudes than the Marangu and the Rongai route and is slightly more demanding. Upon your arrival at Kilimanjaro Airport, you will be welcomed by our transfer driver and taken to the Meru View Lodge in Usa River on the outskirts of Arusha. The rest of the day will be at leisure and you can either relax at the hotel or explore the town of Arusha (taxi required). In the evening you will attend a briefing in preparation of the upcoming trek. Dinner and overnight at Meru View Lodge. After breakfast you will be picked up at the lodge and taken to the entrance gate of Kilimanjaro National Park. While your guide is busy with the registration forms, you can watch the mountain team prepare for the climb and once this is all done, your Kilimanjaro adventure will begin. In no time you will be deep within the magnificent mountain rainforest with ancient trees, primeval ferns, liana, lichen and moss that carpets the ground and drapes from the trees. You will hear and with a little luck, even spot the beautiful black and white colobus monkeys in the treetops. 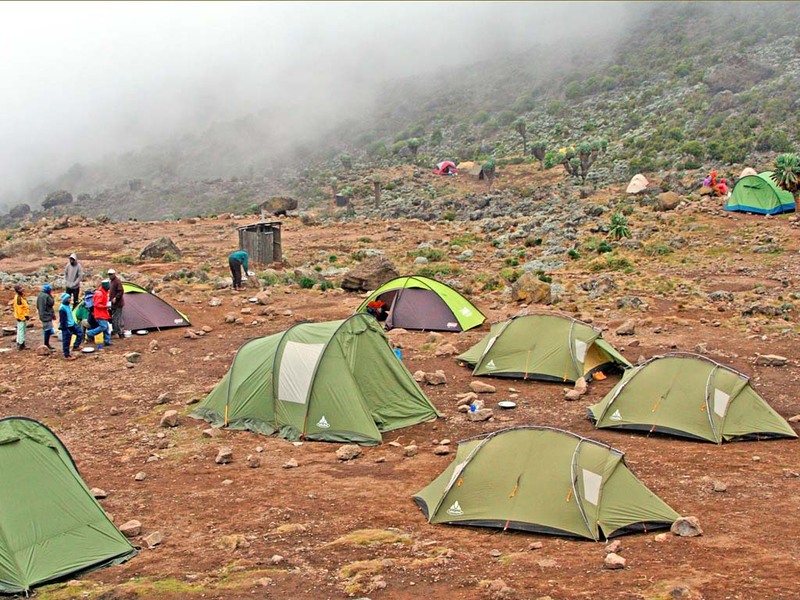 After 5 to 6 hours, you will reach today’s destination – the Machame Camp which is situated just above the tree line. 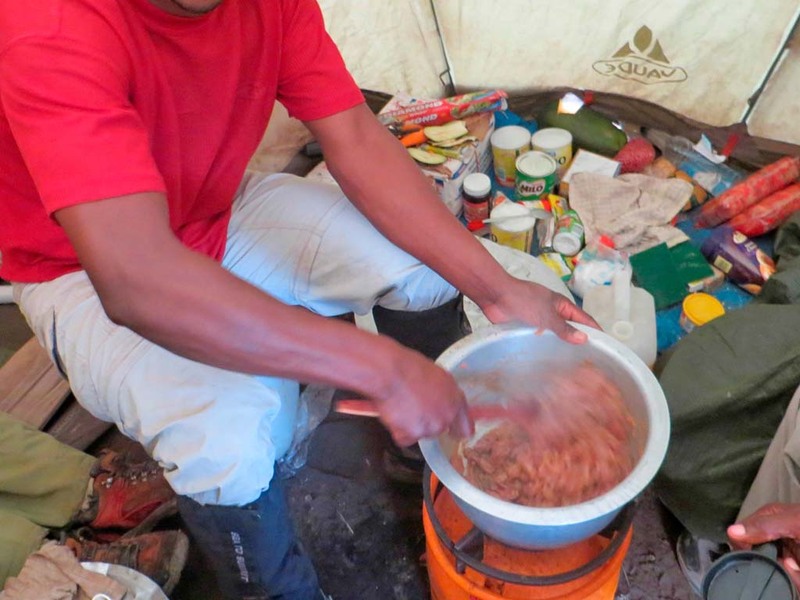 Here, at the base of Mt Kilimanjaro, you will have your first dinner followed by an overnight stay in tents. After an early morning start, the path steepens. The landscape changes into heath and moorland and the open landscape allows you to see the impressive mountain range. Today’s stage is shorter than the previous day and you will arrive at the New Shira Camp by mid-afternoon. The camp has a breath-taking view of the mountain and during sunset, the evening sun lights the rock face and glacier of Kibo. Today you will climb about 800 m but you will be camping at an elevation only slightly higher than the previous night. This will allow your body to acclimatise as a height of over 4,500 m will be reached over the next two days. The trek begins with a long ascent above the Shira Plateau in the direction of the Lava Tower. The vegetation becomes sparser as the landscape changes to an afro-alpine desert. 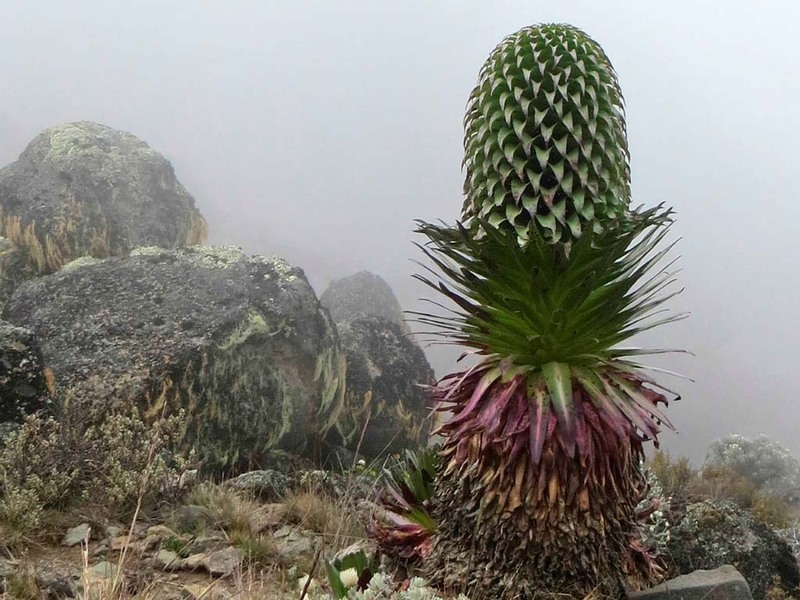 The route passes through the sweeping Barranco Valley with its lobelia and giant senecio plants. After 6 to 7 hours, you will arrive at the most beautiful camp on the mountain – the Barranco Camp. Today’s stretch starts with the climb of the Barranco Wall. Safety is paramount and your guides will assist you wherever necessary. Following the ridge as it traverses up and down, you can enjoy the splendid views of the south glacier of Kibo. In the Karanga Valley you will have lunch, followed by a 2 to 3 hours climb to Barafu Camp. Once at the camp, you can relax, have dinner and call it an early night. After a cup of hot tea and a light snack, the climb begins at around midnight. By torchlight, you will climb the screes of Kibo. 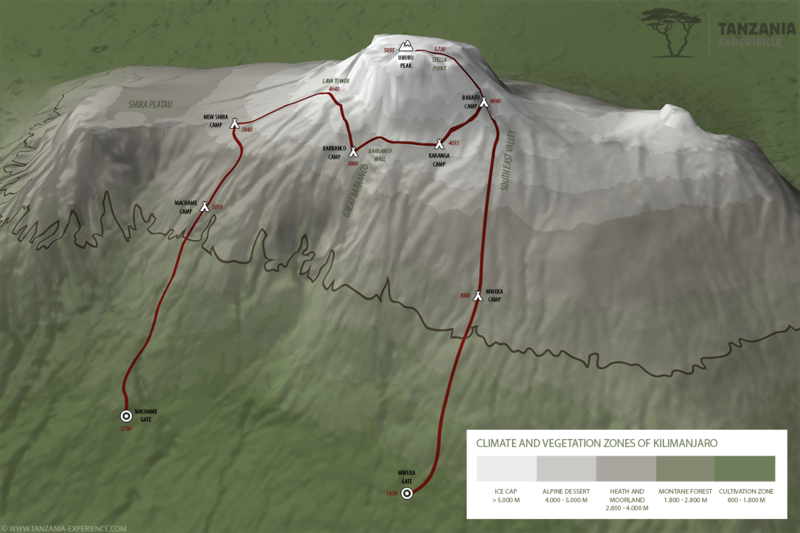 After 5 to 7 hours of ascending in the dark you will arrive at Stella Point (5,730 m), the crater rim of Mt Kilimanjaro. 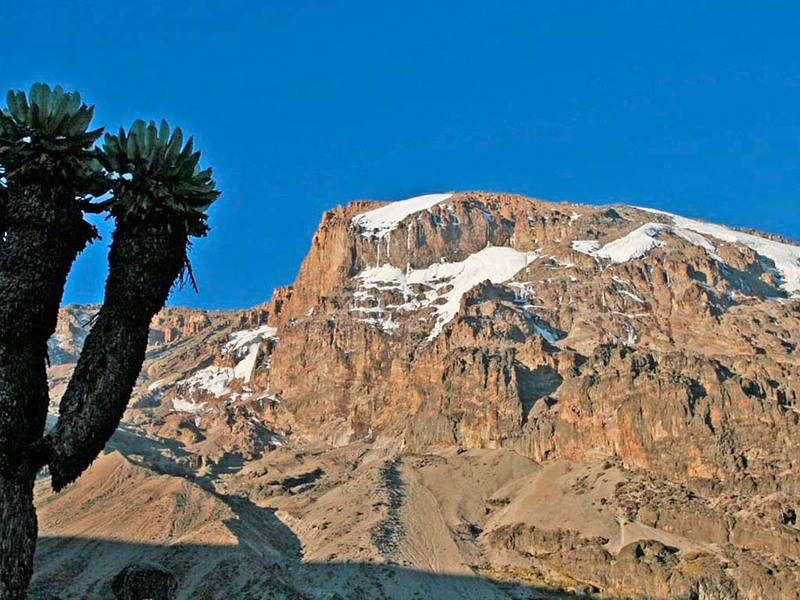 Another 1 to 2 hours climb along the crater ridge will lead you to Uhuru Peak. Here you will see Kilimanjaro in all its glory, enjoying the 360° view over the landscape below as the sun rises. You are now standing on the “Roof of Africa”. The simple descent runs almost along the same route and shortly before midday you should arrive at Barafu Camp, where the porters and the cook will be waiting for you. After a warm meal and a well-deserved break of approximately 1 to 2 hours, you will be on your way down to Mweka Camp where supper and a well-earned rest await you. TThe final leg of your amazing adventure begins after breakfast with a traditional farewell ceremony from the mountain crew. Then a gentle 2 to 3 hours’ descent through the rainforest continues to Mweka Gate, where your driver will be waiting for you. 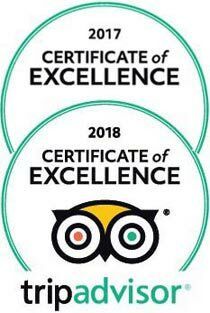 He will take you back to the Meru View Lodge and after a warm shower, the rest of the day is free to relax, relax at the pool or celebrate your achievement. After breakfast, you will be transferred to Kilimanjaro Airport. Alternatively you can extend your trip in Tanzania and go on safari or relax at the Indian Ocean. How big can I expect the group to be and where are the other climbers from? Groups can be anywhere between 1 and 10 and climbers come from far and wide. 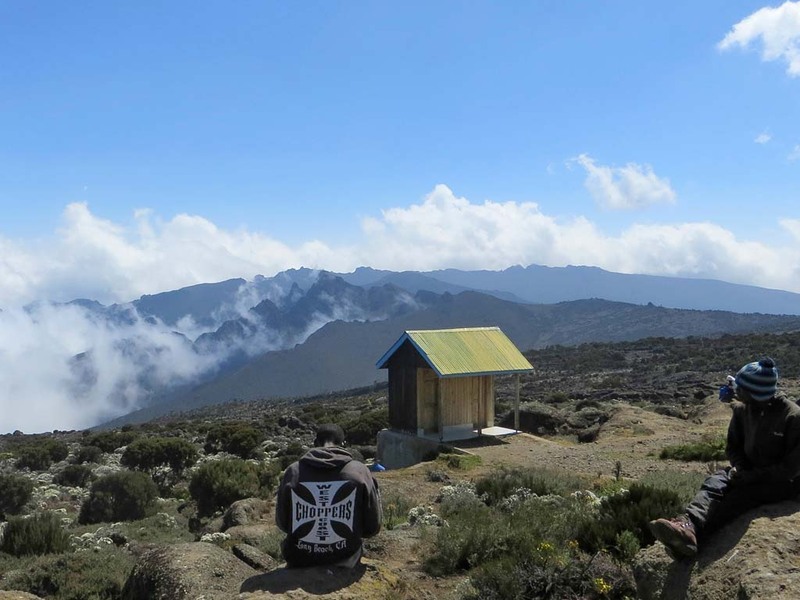 The Machame Route, commonly known as the “Whiskey Route” is regarded as one of the most beautiful routes, offering hikers breath-taking views of the summit. On the other hand, it is also the route that is most susceptible to unpleasant weather conditions such as rain, clouds and fog. But it is thanks to these weather conditions that the vegetation is so dense and beautiful. Due to all the ascents and descents, the route is also physically more demanding than the Marangu or Rongai Route. 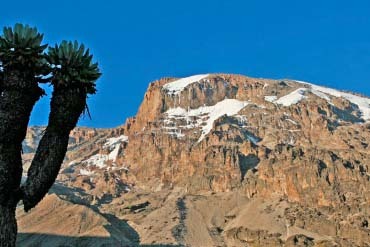 Climbers will descend on the Mweka Route. For dinner you will enjoy soup and bread followed by meat or poultry along with starch (i.e. chips, mashed potatoes, pasta or rice) as well as vegetables.